Hi there! As promised last week, today I have a brand new series for you, featuring people who are sharing their three year experiments, that is, their plans, goals, and dreams for the next three years. Hello! Tell us about yourselves. We are Scott and Caroline, 40-something parents of two daughters from New York City. 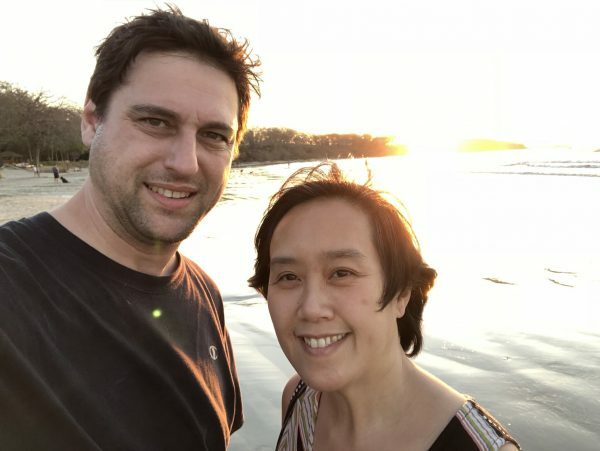 Caroline has been operating her own Career Coaching business for over 10 years after a career in finance, consulting and recruiting, and Scott has recently stepped away from a 23-year IT career to focus on our real estate investments and IT consulting. We are high school sweethearts! Well, technically we started dating just after high school, but we did go to the prom together, and we’ve been together ever since. Next summer we will be married 25 years. Caroline has a BA in Music and Economics from Barnard College, and Scott has a BS in Computer Science from Binghamton University. We both took on busy professional careers right out of college and had both of our kids by age 30. We are looking forward to being early empty-nesters — next year before the age of 50, when our younger one goes off to college. 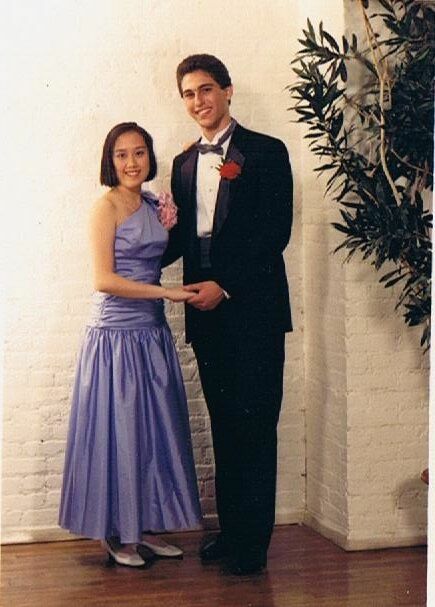 Scott and Caroline at their high school prom. How did you come to the realization that something needed to change in your lives? Raising kids is like a marathon (which Scott knows because he’s run 19 of them and is a member of the 50-States Marathon Club!) It is a long road, not a sprint, and in the early “miles,” it seems like the road is endless and the finish is very very very far away. But in a marathon you put one foot in front of the other, and at some point, the viewpoint switches from “I’ll never finish” to finding the finish line within your grasp! That moment for us was when our younger daughter started high school. We came to the realization that we were almost done raising our kids, and that the time would soon come when we would not be responsible for them anymore, and we could live our lives where and how we wanted to. After having kids so young and not traveling very much, our main change will be to focus on location independence or the flexibility to travel where and when we want, as well as financial independence so that we do not have to worry about working a traditional, desk job. As followers of the FIRE lifestyle, we know that we could pick up today and move somewhere inexpensive and be financially independent. But we aspire to travel, support our younger child through college, and ideally maintain a home base in New York City. To accomplish this, we have to get our finances in order and establish streams of income independent of an office job. 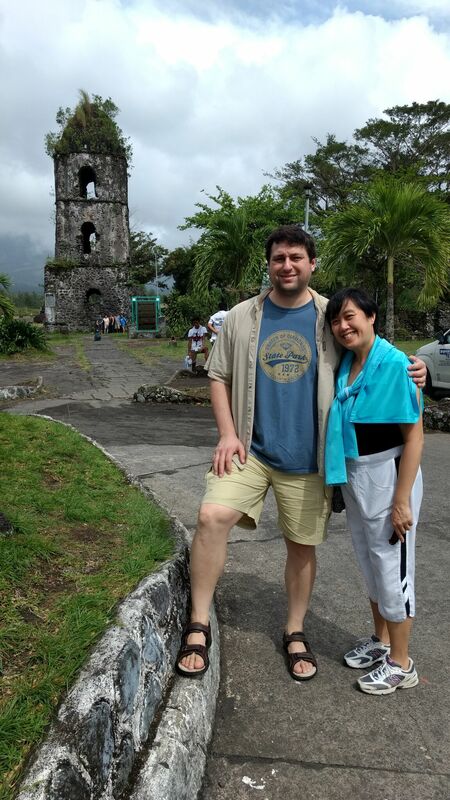 Scott and Caroline in the Philippines, one of the countries they considered for early retirement. How are you employing a three year experiment to make it happen (ie, what’s your three year plan)? Part 1 is to expand our real estate portfolio as much as possible, first using conventional financing before Scott left his job, and second, consolidating our retirement funds into a Solo 401(k) and allocating some of it for additional real estate investments. We now have properties in Asheville, NC, Indianapolis, IN, New York City, Jacksonville, FL, and Tamarindo, Costa Rica. The latter three cities include properties which we will be able to use as home bases in-between our travels. Part 2 is to establish an online presence, to build an audience within our areas of expertise, and figure out how to supplement our real estate income with online income through our websites. Currently, the income from our real estate and online businesses are not enough to support the lifestyle we want, so part 3 is to grow additional income streams that are more hands-on but still location independent, such as Scott consulting to other entrepreneurs on their websites and ecommerce and Caroline speaking, writing and coaching on career issues. Finding an online identity that really reflects what we are about is challenging because we pursue multiple businesses and have multiple interests. Costa Rica FIRE ties together personal finance, real estate and travel. We’re still in the early days but we’re watching to see which of these topics becomes the favorite, or maybe it will be a combination. Building an audience is challenging, and we are learning different ways to put ourselves out there in a way that others can find you. Focus is also challenging. There are so many things that we could work on, and the trick is to figure out what we enjoy, what has monetary potential, and what is something we can execute really well. Transitioning from a traditional, desk job to entrepreneurship has been enjoyable and pretty seamless. We’re still building our businesses, but neither of us miss the office environment. We don’t feel a loss of identity, which some corporate professionals warn about. We don’t feel a lack of structure or motivation in working for ourselves – the open day is very freeing. Next year is year 3 since Scott left his corporate job and we went full entrepreneurship. We have the real estate portfolio built up, we’re still building out our online businesses, and we’re still tweaking our consulting businesses so they’re fully location independent. We have already achieved partial FI in that we could move to Costa Rica and be financially independent with the income streams we have now. But to achieve the ideal lifestyle we are looking for, which includes a base in New York City, we will need to grow our various streams of income. As soon as we’re empty-nesters, which coincidentally is the year we celebrate our 25th wedding anniversary, we plan to travel around the world. We are looking forward to being on our own schedule and finally seeing the list of 40-50 countries we’ve only been talking about for years. 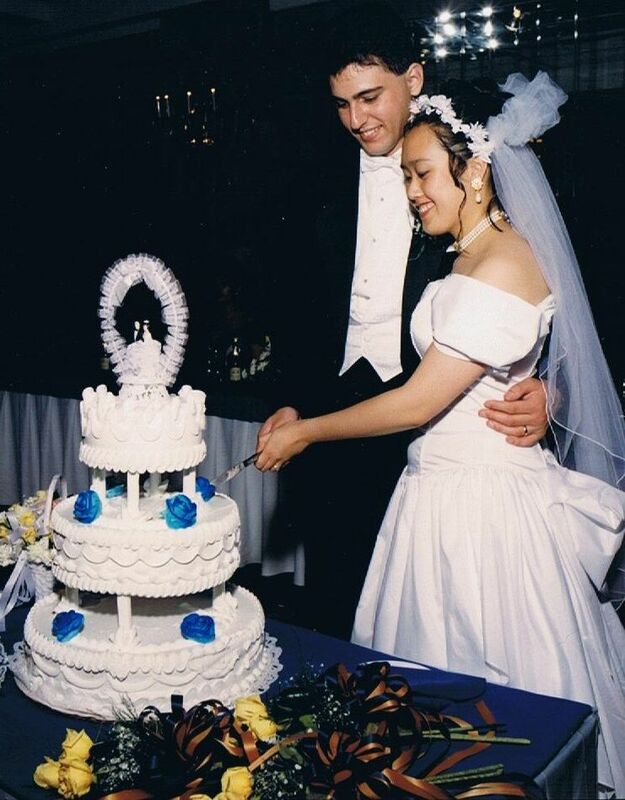 Scott and Caroline will celebrate 25 years of marriage right as their last child goes to college. The best way to keep in touch with our FIRE journey and travels is on our website. We welcome comments and questions, and many of our blog posts are inspired by questions we frequently get, like how we picked Costa Rica, how we picked the geographies where we bought, favorite resources, etc. Post your questions to our Contact Us page! 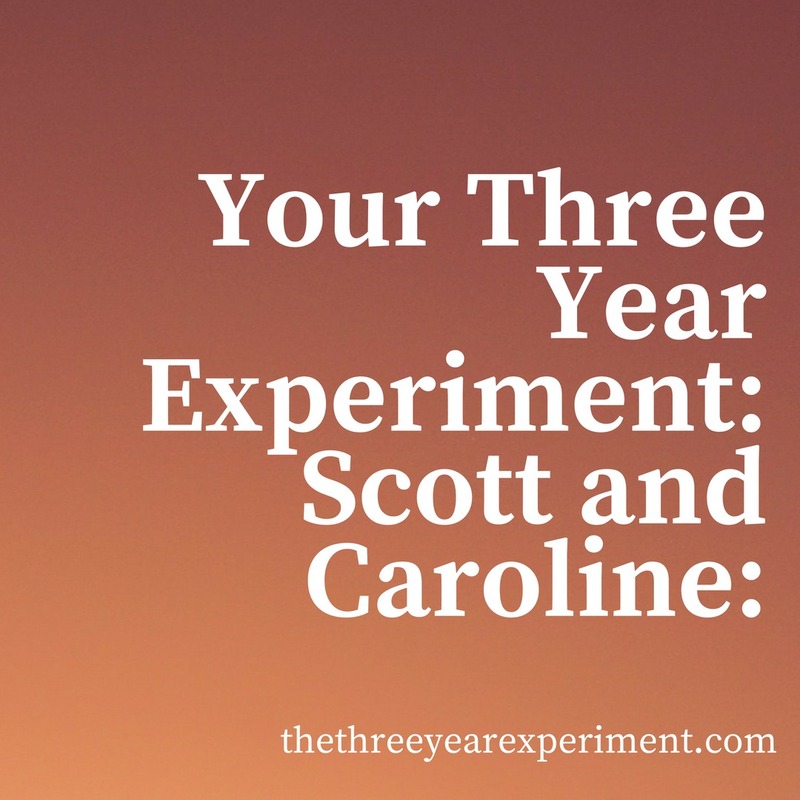 I hope you enjoyed a peak into Scott and Caroline’s three year experiment. Make sure to leave them a comment with your biggest question about their plan. And if you’d like to be featured, let me know! i enjoy interview-type articles. that seems like a lot of places to keep up. what do you have, apartment buildings with property management companies to oversee them? best of luck. This is awesome! We are similar in that we had our kids all before 30 years old, though our kids are still young – 8,6,6. We are focused on travel as well. We love Costa Rica – my husband and I just traveled there last month for our 10 year anniversary and will be returning the week of Thanksgiving with our kiddos! I’ll definitely pop over to our website! Best wishes! I know–isn’t there story cool? I thought of you guys!! I’m so happy you’re making this a series! I always find it interesting getting insight into other people situations and often interviews are the best way to do that. Answering other peoples questions often gets people talking about things they never would have considered before. Thanks Sarah. I love to find out about people’s situations and get insight too. I’m always interested in the littlest things people do (like their little hacks) that help them out. Great article, great series. I’m just now retired but will share this with young couples I know who could benefit. Thanks and Keep up the good work! Thanks so much, Karen! I appreciate your kind words. Congrats on your retirement and Happy New Year! !